Aboriginal Insights offers Australians and International visitors access to the Aboriginal cultural world with the intent that such insights will lead to stronger partnerships, stronger relationships, stronger respect, stronger understanding, and stronger appreciation of Aboriginal peoples’ and their cultures in Australia. Aboriginal Insights was created by Ngarluma- Aboriginal woman, Jolleen Hicks in 2016. 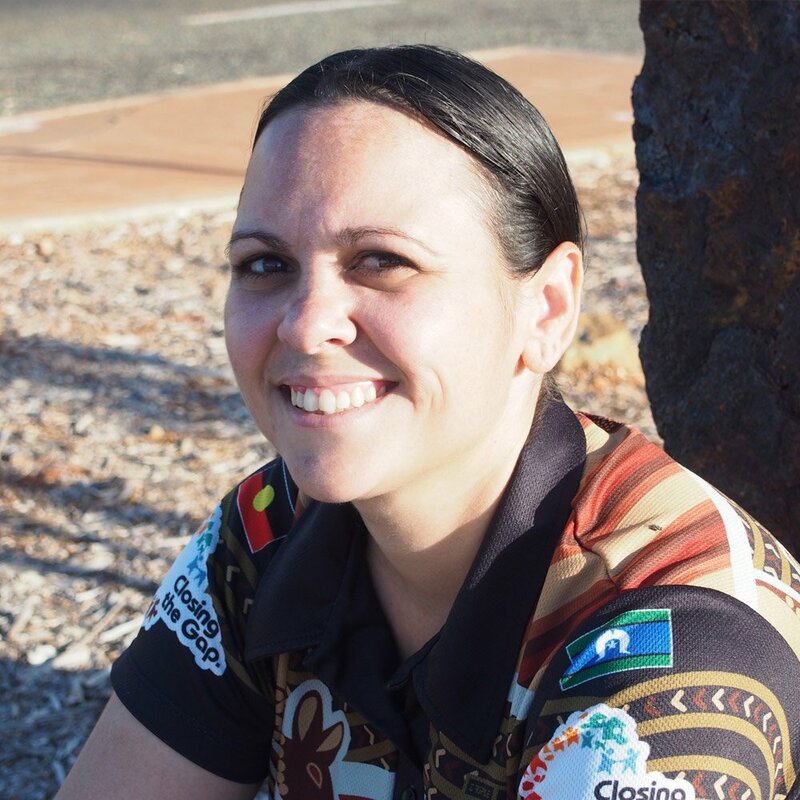 Jolleen has a background that covers successful Aboriginal Engagement with over twenty separate Aboriginal groups in Australia; leadership; and business. 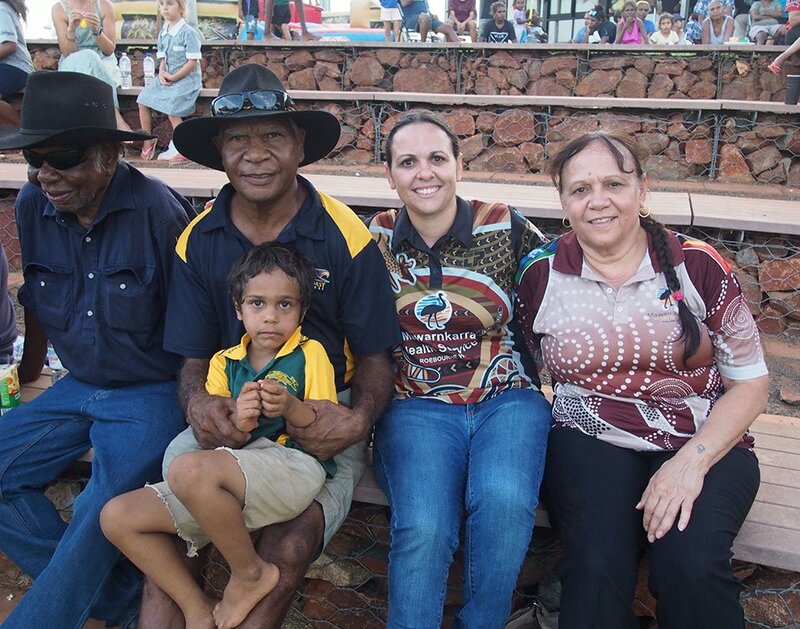 Jolleen believes that reconciliation cannot be achieved without understanding; recognition; and respect between Aboriginal people’s and non-Aboriginal people. Jolleen has spent ten years developing her knowledge; skills; and capacity in order to confidently and comfortably walk in two worlds, while maintaining her strong family values that were instilled in her by her mother, Joan. I was born in Wickham, Western Australia (Ngarluma country), being the second child to my mother, Joan. My mother is the strongest role model in my life and is the person who has inspired my passion; determination; and potential. My mother is an amazing woman of great family values and respect for people. She is my biggest and strongest supporter. My older brother (Gaja) has always played an important role in my life as a strong male role model. He is an extremely hard worker and has always offered support and encouragement to me in pursuing my dreams. I grew up in my mothers’ home town of Roebourne and attended Roebourne Primary School. My community is well known for mostly the wrong reasons. It has a difficult relationship with the media, making the news mostly for negative reasons. However, the stories that are mostly missed are the stories of great strength and resilience. My childhood was spent attending school every day with my younger brother, William (one of the best things a parent can do for their child is to ensure that they attend school); playing with my friends; weekend trips out bush or fishing; playing tee-ball for Roebourne; exploring the Harding River; and swimming at the local pool after we finally got one built. As the eldest daughter, I also helped my Mum out with my younger sister, Jessica, and brother, Ramon, on a daily basis. I am very proud of the amazing young adults that they are today. My eldest brother (Gaja) is a Train Driver; my younger brother is a Ranger; my younger sister is studying Social Work; and our youngest brother (Nyirdi) is in training to be a Train Driver like our Gaja. Like many young people, I didn’t know what I wanted to do post high school, but I wanted to keep my options open. My teachers, including Brad Snell, encouraged me to aim high for university and for a degree such as law. So after graduating Year 12 in 2000, I started my law degree at the University of Western Australia in Perth in 2001, as a 17-year old turning 18. My university days were exciting; challenging; and happy. I met lifelong friends and developed a strong interest in Aboriginal issues. 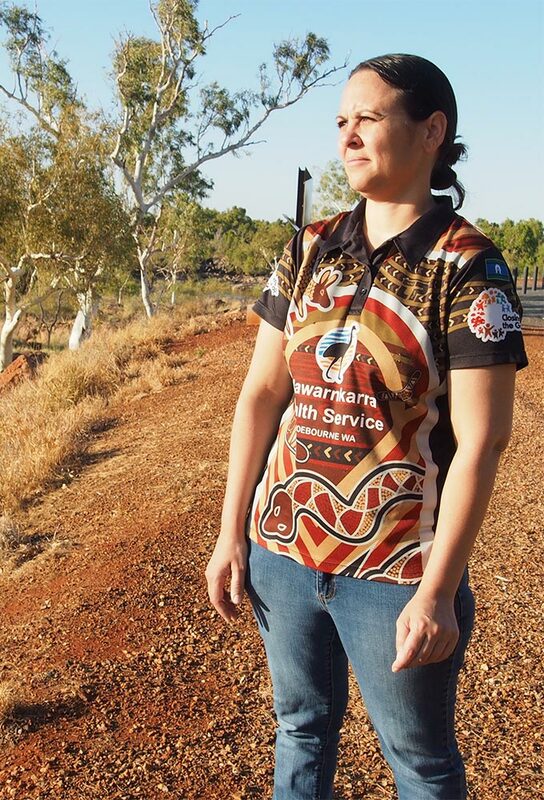 An Aboriginal girl from Roebourne graduated with a Bachelor of Laws from the University of WA in April 2006. After completing university, I accepted a Law Graduate role with mining company, Rio Tinto, based in Perth, Western Australia. When I started there, I was still very much a shy Aboriginal girl who felt like I didn’t belong anywhere but my community of Roebourne. I hated speaking in front of groups, but I forced myself to take up public speaking opportunities to help with tackling my fear. My role with Rio Tinto helped to develop my communication and team coordination skills. In 2007, I was seconded to law firm Allens Arthur Robinson in Perth to complete my Practical Legal Training and Graduate Diploma of Legal Practice. By the end of 2007, I had been admitted as a Legal Practitioner in the NSW and WA Supreme Courts. I received my legal practising certificate on 1 January 2008, and my legal career began. I returned to Rio Tinto as an Advisor within the Government Approvals Department, still with no idea of what I should do with my legal qualifications. In 2009, I was part of a group of young Aboriginal professionals chosen to undertake a Group Study Exchange through Rotary. We went to District 5050 encompassing British Columbia, Canada; and Washington State, USA. This experience opened my eyes to the world and helped me to find my next passion: native title. I learnt about treaties and sovereignty; Aboriginal schools and Governments; Reservations; Aboriginal legal systems; and how Aboriginal culture can empower Aboriginal people. Within 6 months of returning from my exchange, I resigned from Rio Tinto and accepted a job in native title. After 9 years in my second home of Perth, I moved north to Broome, and began working for the Kimberley Land Council (KLC). I describe this role as the best job I have had. I was young and passionate; and it was my job to help Aboriginal groups in the Kimberley to achieve native title recognition, rights, and interests. I travelled by vehicle and charter plane across what I would describe as some of the most beautiful lands in this country. I was trusted with stories and cultural knowledge from my clients who were part of a continuous living culture spanning more than 60,000 years. In late 2010, I made the decision to move from the KLC to Queensland South Native Title Services (QSNTS) based in Brisbane, Queensland. I found this role to be challenging in the native title environment due to the greater impact to Aboriginal cultures from historical Government laws and policies. The strength of culture was very much different to that of Kimberley Aboriginal cultures. I travelled most of South Queensland and enjoyed learning of the stories both cultural and historical from Aboriginal families involved in existing or proposed native title claims in the QSNTS region. From my experiences of working with two separate native title bodies, the KLC and QSNTS, I worked with and for over 20 separate Aboriginal groups. This opportunity allowed me to develop my communication skills with respect to Aboriginal people and my understandings of where these Aboriginal groups had come from and what they had survived. One of the biggest challenges of being an Aboriginal person from a big family is the funerals. In the 12 years that I spent away from home (other than the university summer breaks I spent at home), my family and community laid many people to rest. The loss in my family that affected me the most was the loss of my beautiful grandmother, Judy. She passed away on the day I was leaving Brisbane to be with her in March 2011. My Nan was a wonderful grandmother who I adored and one of my most favourite people in the world. When she passed away, I struggled with justifying the time I spent away from home pursuing my career instead of with people I loved like her. I was affected so much that I had to take 6 months off from work and just be at home with my family. My spirit had been broken and I felt lost. But being at home allowed me to strengthen my spirit. After two years in Brisbane, and 12 years away from home, I decided to move back home to my community and use my skills and qualifications for the benefit of my family and community. I worked as a Legal Officer and Cultural Awareness Training Facilitator for a company I jointly owned with two friends, Gurrgura Pty Ltd. Then, two weeks after I turned 30 in April 2013, I sat in the Emergency room of Nickol Bay Hospital in Karratha with my mother, when a Doctor told us that the dizzy spells I had been experiencing was due to a tumour on my brain! Many thoughts went through my mind, but one of them was, “But I haven’t done everything I’m supposed to do”. The mental struggle I went through trying to understand what was happening was exhausting. A week later I had surgery at Sir Charles Gairdner Hospital in Perth to remove the tumour. Although the tumour was successfully removed, the surgery impacted my body so much that I could not walk or control my left side. I spent two weeks in rehabilitation before travelling back home to Roebourne. When I left hospital I had crutches and although I could eventually walk if someone was standing on my left side, I couldn’t walk unaided or even stand by myself. My balance and coordination skills were terrible. But I was determined to walk and eventually I did, without crutches and without someone helping me. Today, I still have minor trouble with my balance and sometimes it looks like I walk with a limp. It’s quite difficult to understand that my balance and walking issues are a result of brain messages as opposed to physical trauma to my legs. Although the experience was horrible, I am a stronger and more resilient person because of it. Six months after having brain surgery an MRI showed that I was “all clear” and I decided to start my own consultancy offering my unique skill set to interested clients. I decided that I had something to offer that other businesses didn’t and I didn’t need to work for 30 years to be eligible to start a business. At 30, I started Roebourne Consulting Services. Aboriginal Insights has great potential to change mindsets and build the understandings and respect between both Aboriginal and non-Aboriginal people. It is my response to the unfortunate failure of continuous services and programs to “Close the Gap” in Aboriginal communities. This Gap is real and the reality of it is visible in my community of Roebourne. Aboriginal Australians are 13 times more likely to be imprisoned than non-Aboriginal people, and expected to die 10 years earlier. Aboriginal children aged between 10 and 17 years are 17 times more likely to have been under youth supervision than non-Aboriginal children. This is the reality and we, Aboriginal Australians, make up only 3% of the Australian population. I always knew that I was destined to make a positive impact in my own community, but through my life journey, I realised that this impact could be bigger than my community. This impact is delivered through my consultancy; my community roles; and now, through Aboriginal Insights. Aboriginal Insights is built on my unique identity; journey; experiences; perspectives; and understandings. My identity is intertwined with my Aboriginal family (Hicks); my home town of Roebourne; my traditional Aboriginal language group, Ngarluma; my family’s traditional country, the Ngurin; my mentors; my friends; and my willingness to learn from others.